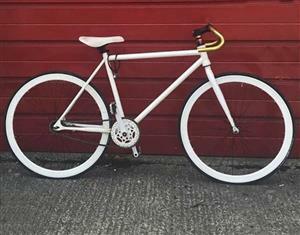 A pedal bike painted in white was reported stolen from the Talbot Campus at Bournemouth University, at around 4pm, on Sunday, November 25. Police said they don’t have a make or model for the bike because it is custom-made by the victim. Bournemouth University students are concerned about the lack of security after the incident. Officers are keen to speak to anyone who recalls seeing the vehicle or who may have other information. To get in touch please contact Dorset Police at www.dorset.police.uk, via email 101@dorset.pnn.police.uk or by calling 101, quoting occurrence number 55180190148. Alternatively, contact Crimestoppers anonymously on 0800 555 111 or via www.crimestoppers-uk.org.